I saw this during my coverage of the sentencing of James Whitey Bulger, outside of Moakley Federal Court. I was waiting and waiting for a departing jet to “show” itself. 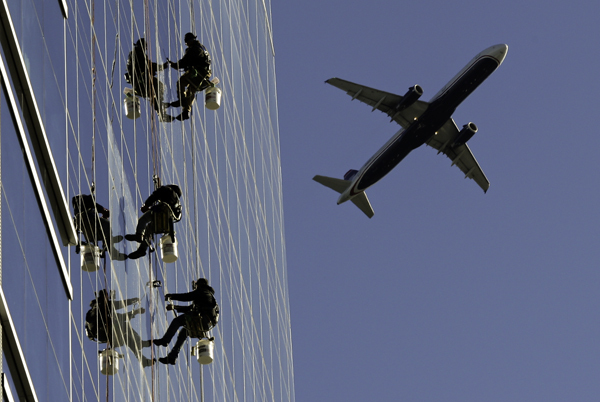 It finally did as these 3 guys were washing windows in the future home of Vertex Pharmaceuticals. An emotional Thomas Menino at the opening of new East Boston Library. 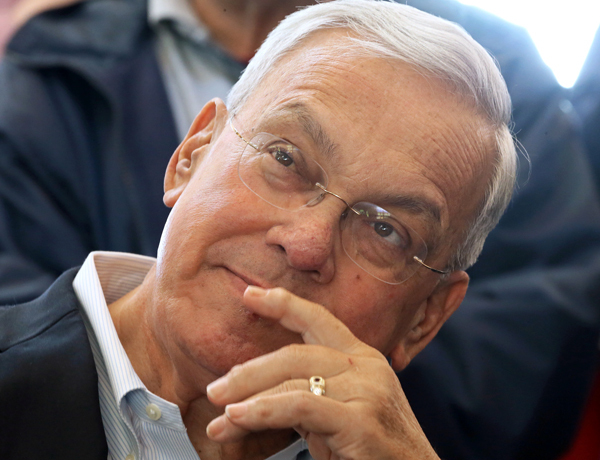 Boston Mayor Thomas Menino turned toward his old friend Sal Lamattina, and with glassy eyes, smiled as a room was named in his honor at the grand opening of the new East Boston branch of the public library Saturday. Posted in Uncategorized | Comments Off on An emotional Thomas Menino at the opening of new East Boston Library.